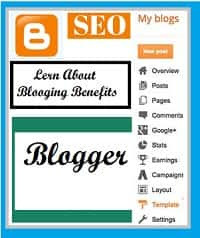 Blogger is the best blogging platform for you. This is the first platform, which introduced by Google to encourage the people to write something for the readers. Google provide assistance to create your blogging page in free and can share the content worldwide. So, many people started blogging with this and today they are getting the good response and earning. Blogger is providing free domain and hosting for users. This platform is very simple to use. The creation of blog dashing approach to the reader. The best part of this platform is that its every tool performed better than another blogging platform. The another best part is for you to choose the perfect design for your blog. They support the XML format template. You will take care to choose the template, which is very fast to upload. The speed of loading is important to fulfill the SEO criteria. Very simple tools are given in blogger to upload the image instantly in content. Optimize your image through tools and upload with your blog post in the easiest way. A well-established layout saves your time and makes your blog beautiful. Blogspot.com domain can use to start your blog instantly. You can purchase and add professional domain like-.Com to the blog to follow the simple steps. Another platform is using a very difficult process of domain addition. Good news for you, if you are making your site on blogger.com, you can earn money through it. Google will provide Adsense support to display ads on your free site, if any readers click on it, then you will earn money. Google does not provide this facility for other blogging platforms. Your blogger dashboard setting is very easy and powerful. First, you see all post, which is already published, Second know about the audience and location of visitors on the blog. You can set the search preference and layout of the blog. You can add your blog with free Google Webmaster tools to know about the exact presence of live readers and see the total visit of the reader during the whole day. The other facility Google will provide to share and upload the photograph to make a memorable moment or library. Write the story with the photo and share with your colleagues and friends. This is totally free for you. This platform adds you to millions of other people. Blogger provides support to the writer by help center, forum, video tutorials. These tools guide you to be a perfect blogger. You can create community in Blogger Buzz & +Blogger to make a separate platform to share the blog content and views with your group of people. The best way to start to make the blog with blogger.com is to open an account in G-mail. Use this mail id to “Create You Blog”. Now you will get the option to choose the blog name. Tips to choose the blog name - “ Use Keyword To Make The Name” like - bloggingcage.blogspot.com, blogmakingtips.blogspot.com etc. Actually, this name is good to get the traffic from search engine. The second option you will get to finalize the theme. Select the theme from given option of the blogger or hire ‘xml blogger template’ and upload in your blog. The best option to select the template by blogger template, you can change it after completion of making the blog. Always choose the template, which is loading fast. You can check the template accuracy and speed on Gtmetrix.com & Pingdom.com. Your blog dashboard is your blog controlling station. Every change will be there reflected in your blog pages. When you start to write the blog then keep the blog subject line strength 60 words only. Second, write another headline on the post page. Continue with third, fourth respectively after changing the paragraph. Reduce the size through image optimization tools, then upload in the page. The size should not be exceeded from 10K also re-size the image from paintbrush option of your computer. These tools are free to use and perfect to reduce the image size. One thing, I would like to share with you that free is actually free in all respect. Free setup and use cannot be given a professional look. So, if you want to give a professional look and earn money through blogging, Just purchase a domain .com, .in, .org from hosting companies and add your blog to the group of the professional blogger. Free domain has some limitation set by Google for blogger. Google has provided this platform, but the user will realize the issue after writing the number of posts and aired for the listing in search engine. When you write the number of posts, you see that the traffic on site is in constant mode (organic traffic), because Google deletes some content from the search engine. That is the basic reason you lose the esteemed readers by this activity. Google has also the complete control of your blog and can delete without any prior notice. The next point you see that your site with “Blogspot.in” domain is not giving a professional look to the visitors. Your content is marvelous but does not meet the criteria of professionalism. So, purchase a top domain for your site. The hosting is available for free from Google. This is good for your blog. You can use this free facility. When you add the purchased domain, the hosting part will be worked automatically. No other platform will provide you free hosting plan for your blog. Use free domain, free template, free blogger dashboard. So, move for next step.! Share the post with others, if you think it is beneficial for the new blogger or write your comment in the below-given box.